My week of starting off my summer fashion (we are in the high 70's here every day) didn't go as planned. Monday was surprisingly chilly so I busted out the navy sweater from my most recent Stitch Fix box. This navy, crochet sweater was thick enough to keep me warm but thin enough for me to wear once the day warmed up. 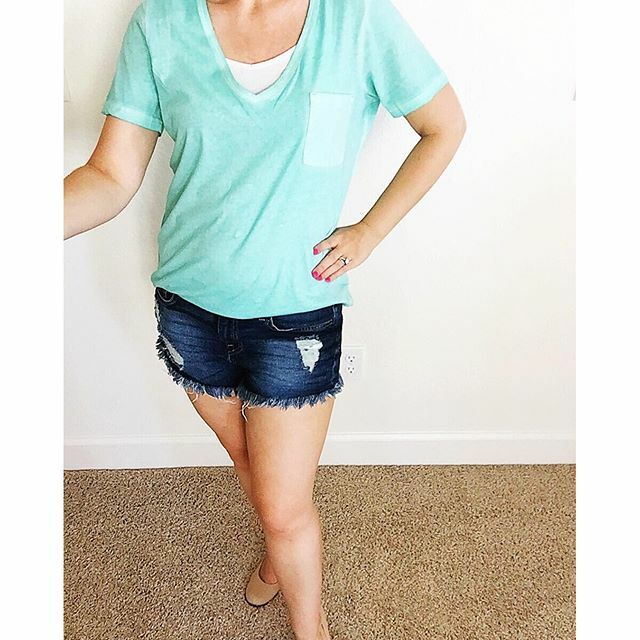 When it's the weekend and I'm just running around doing errands, I typically put on casual shorts or jeans. This casual, light weight dress is another way I'm trying to vary my wardrobe. Plus have you ever been in California in the summer? It's hot! 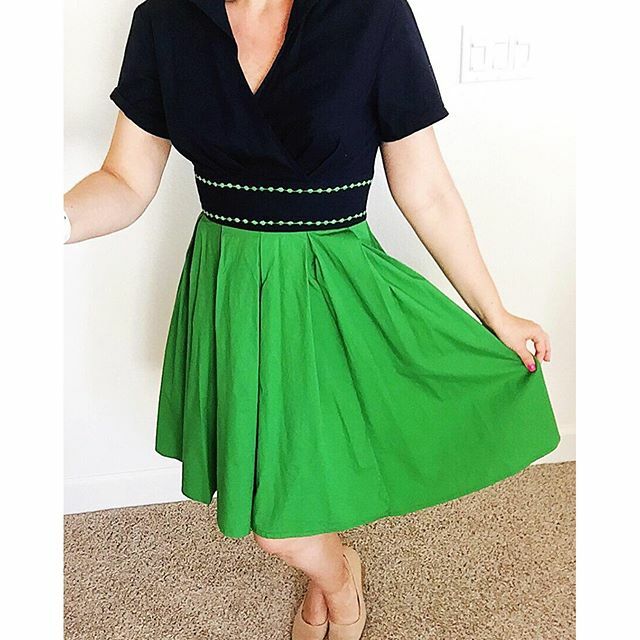 This green and navy dress is vintage inspired. The skirt has pockets and a side zipper. This dress is a little thick but it's a fun dress to wear to the office. These shorts take me way out of my comfort zone. I have always been a person who has bigger legs. I've also been a girl who rocks Bermuda shorts and wears them to the knees. In the last few months my legs have become slimmer and I thought I'd try wearing some shorts that are actually short. SO let's see if I have the courage to leave the house in them! I am all for stripes, love it!! I love the petal pushers and the striped dress. I could see me wearing both of these. You look great in them. It is always to get new fashion ideas. What cute looks you've put together! I love the skinny printed pants and that dress is adorable. Makes me want to do some summer shopping. Thanks for sharing!